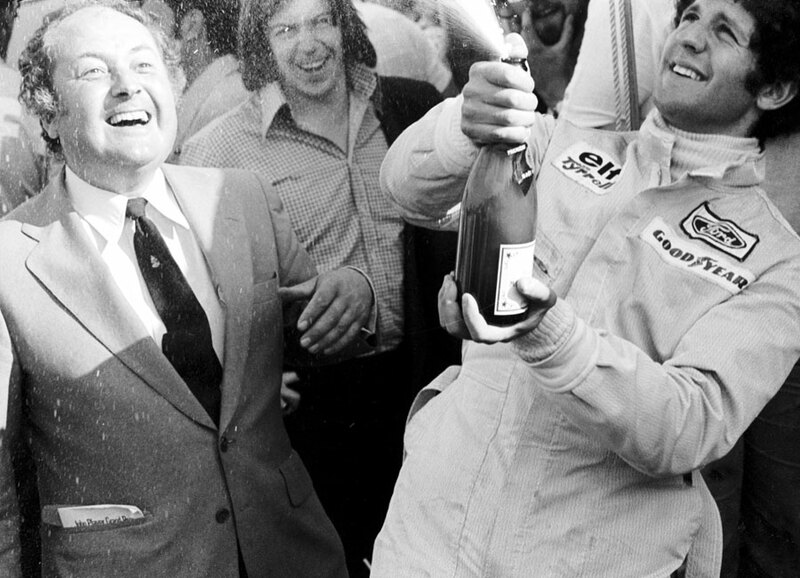 Jody Scheckter won the British Grand Prix at Brands Hatch, profiting from Niki Lauda's misfortune when the Ferrari suffered a puncture with just a handful of laps remaining. Hans-Joachim Stuck crashed his March early in the race and the resulting debris meant driver after driver suffered punctures. Clay Ragazzoni had one, John Watson had one, Ronnie Peterson and Graham Hill had two each and Lauda's cost him the lead of the race and the lead of the championship. Lauda attempted to struggle on regardless but the tyre eventually ripped itself to pieces and he returned to the pits, trailled by a plume of blue smoke coming from the rear of his car. Ferrari made a swift tyre change in the hope of snapping up a few points, but as Lauda left the pits his route was blocked by a group of hangers-on, dolly birds and an official's car. As a result he completed just 73 laps, two short of Scheckter's 75, and was classified ninth at the end of the race. Ferrari argued he would have finished fifth on 74 laps had he been let out of the pits and, after an official protest, got its way as Lauda was given the extra lap and two championship points. It was a controversial decision as it was based on a "what if? ", but it stood and kept Lauda within a point of Fittipaldi in the championship. Further doubt was cast over the organisation of the race when it emerged that James Hunt's second lap suspension failure had been a direct result of him running over a man in the pit lane before the race. Hunt's fuel tank cracked on the way to the grid and he was in the process of swapping into the spare car when the accident happened. The man, who broke his leg, had not been authorised to be in the pit lane and the contact caused critical damage to Hunt's rear suspension.